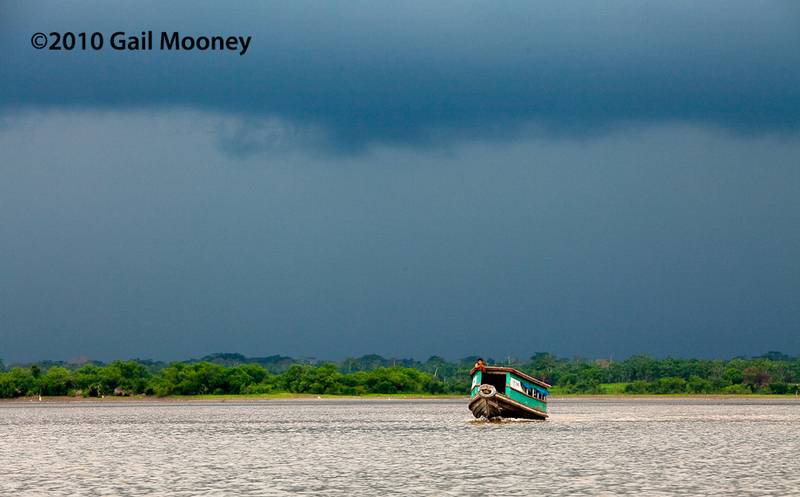 This entry was posted in People Making a Difference, Photography, Travel, Women and tagged Amazon River, APECA, Belen, documentary, Gail Mooney, Gina Low, http://www.womenslinkedlocalnetwork, making a difference, Opening Our Eyes, Peru, photography, South America, storm, Travel, water. Bookmark the permalink. Gail, it’s an awesome feeling to be on the river when it’s pouring! I had to repack all my gear into waterproof bags and cases when I traveled up the Ucayali. Fortunately we just had a little bit of rain. People often don’t realize what goes into getting the shot. All the production, all the travel, all the behind the scenes work that lead up to that one awesome photograph or opportunity to grab that sound bite. Kuddos for braving rain and weather and push on to tell the story of Opening our Eyes!